Bitcoin: Neptune’s transiting aspect to radical Venus. Sept 1st 2018. A different graph. A different perspective. 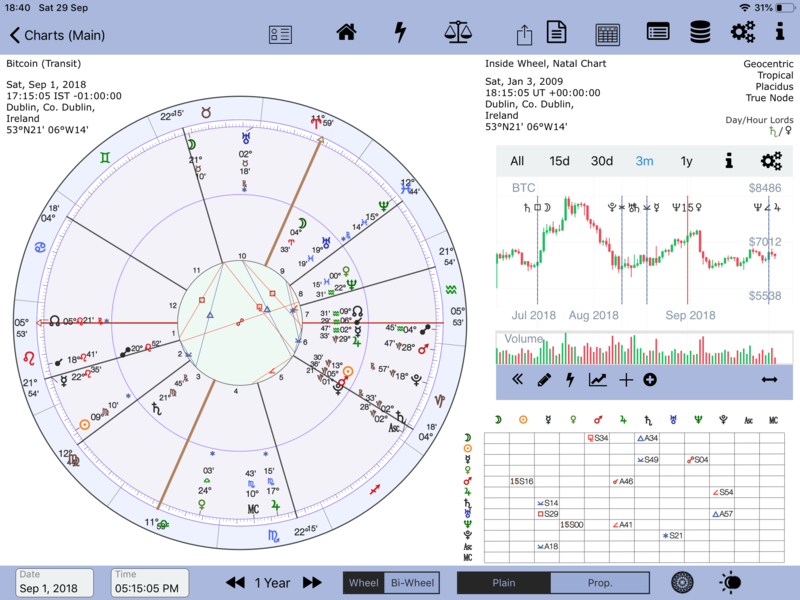 The AC Bitcoin chart for the astro CIT on the 1st of Sept 2018 shows that the aspect ‘missed’ the downturn on the 5th of September 2018. An aggregate of various exchanges is used. 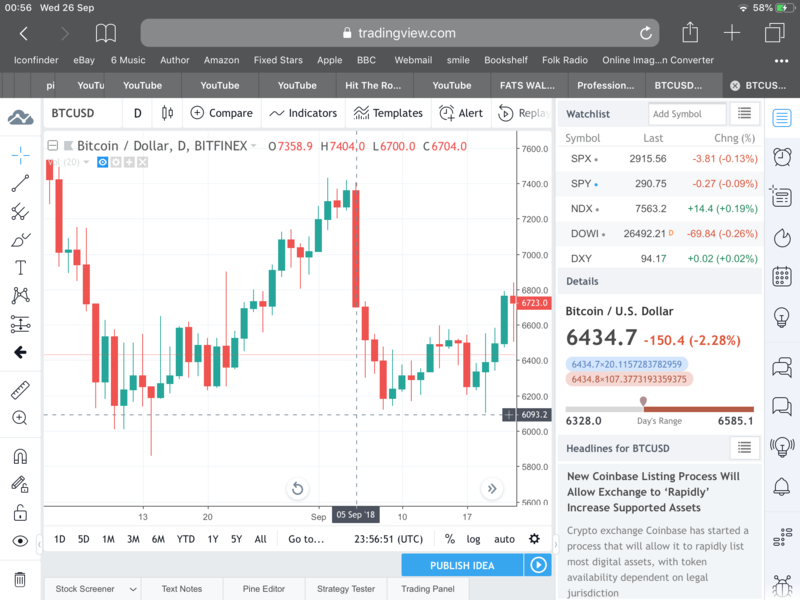 However, the Trading View BTCUSD chart for the same period (using Bitfinex data) shows that the aspect did correspond to the downturn, as the highest point occurred on the 2nd of Sept 2018 which is close enough to the aspect date to be significant. Trading View appears to use Bitfinex as a default exchange.